The price paid was a record amount for a Ukrainian bank. The deal is also the most recent in a wave of acquisitions in which European banking groups have paid top dollar to acquire a position in the small but fast growing bank sector in Ukraine. “The USB acquisition reinforces UniCredit Group’s operations in Ukraine, one of the fastest growing economies in the region,” UniCredit spokeswoman Francesca Palermo-Patera said. UniCredit Group ranks among the top financial groups in Europe, with a market capitalization of about 70 billion euros and assets totalling about 1 billion euros. 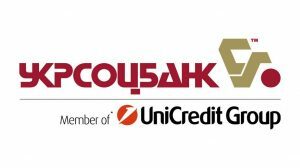 UniCredit Group has in recent years moved to increase its presence on the Ukrainian market launching bank offices under the UniCredit brand. USB was established in 1990 and ranked as Ukraine’s fourth largest bank in assets after Privat, Raiffeisen Bank Aval, and UkrSibbank in December 2007, according to the Association of Banks of Ukraine. USB’s assets are estimated at 4.2 billion euros. Under UniCredit, the bank will diversify into asset management, financial consulting and pension funds, a UniCredit spokesperson said. With its low banking penetration, Ukraine is well-positioned for sustained strong mid-term asset growth, particularly in retail, Palermo-Patera said. Low competition and huge growth opportunity will attract more investors in the next several years, Pronin said. Ukraine still lags behind most central and eastern European countries in terms of penetration per capita, with retail lending in September at just 368 euros per capita, compared with 1,158 euros per capita in Poland, Palermo-Patera added. “Combined with the low competition markers, it has a considerable potential for banking industry newcomers,” Pronin added.